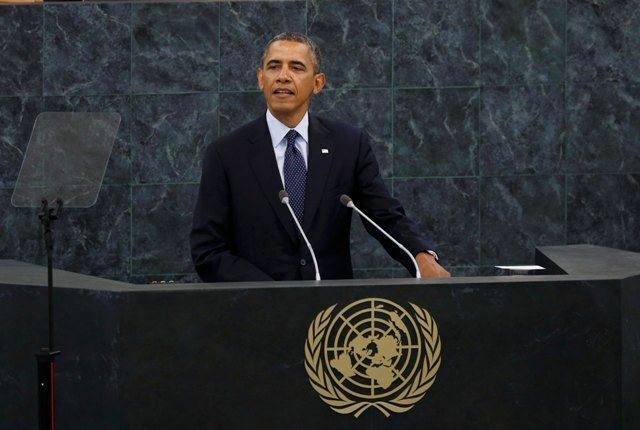 President of the United States, Barack Obama, addressed in his speech before the United Nations General assembly the Palestinian-Israeli "conflict", saying that "Leadership will be necessary to address the conflict between Palestinians and Israelis" because it was the main reason to many greater conflicts in the region. "The violence engulfing the region today has made too many Israelis ready to abandon the hard work of peace," he said. "That's something worthy of reflection within Israel", in a line that was not in his prepared text. negatively affected the situation in Iraq, Syria, and Libya. He added, "But let's be clear: the status quo in the West Bank and Gaza is not sustainable. We cannot afford to turn away from this effort – not when rockets are fired at innocent Israelis, or the lives of so many Palestinian children are taken from us in Gaza." He finally said that he will defend both Palestinians and Israelis, in order to have two states live side by side in peace. 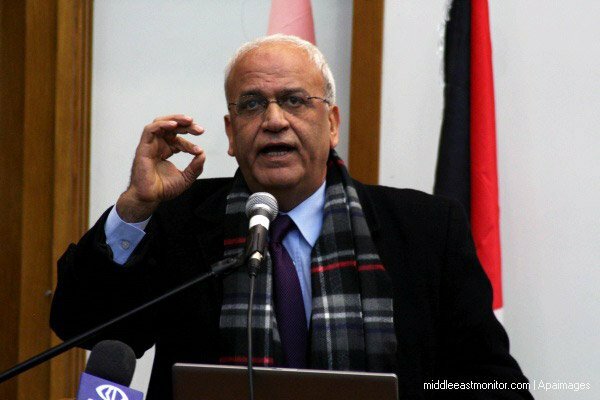 Chief Palestinian negotiator Saeb Erekat said on Tuesday that, "Israel does not negotiate with others, but dictates to them," Anadolu news agency reported. Erekat was speaking to journalists while accompanying Palestinian Authority (PA) President Mahmoud Abbas at the UN General Assembly in New York. Commenting on Israel's killing of two Palestinians just hours before the resumption of indirect Palestinian-Israeli ceasefire talks, he said: "This morning, Israel assassinated two Palestinians while there is a ceasefire in place. This sets off a dangerous alarm." 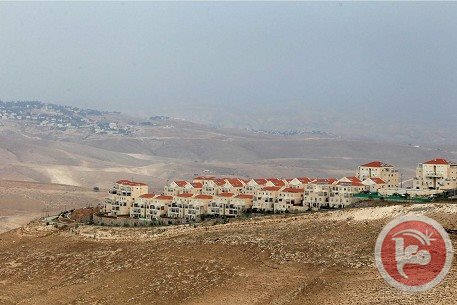 He added: "The other issue is that Israel has appropriated 4,000 dunams (1,000 acres) of Palestinian lands in the occupied West Bank and is bidding for the building of new settlements at a time when the whole world is fighting terrorism. Israel is the source of evil in the region." According to Anadolu, the PA official also called Israel "a burden on the world" and said that winning the anti-terrorism battle lies in "draining the spring of terrorism–Israel". 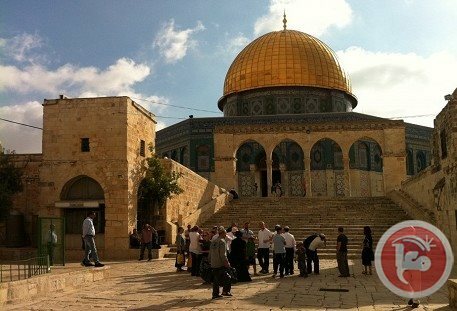 Erekat explained that the Palestinian message to the UN is to put a timeline for ending the Israeli occupation and set a certain date for the establishment of an independent Palestine state on the 1967 borders with East Jerusalem as its capital. He said that all the efforts of the PA president are concentrating on this message. Israeli occupation forces killed two Palestinians on Tuesday at dawn in the southern West Bank city of Hebron. The two, according to the occupation authorities, were accused of kidnapping three Israeli settlers who went missing on 12 June and were later found dead. The Ahrar center for prisoners' studies and human rights said Israel had killed and assassinated 50 Palestinian citizens in the occupied lands during the last nine-month peace talks with the Palestinian Authority (PA). Director of the center Fouad Al-Khafsh said that the Israeli killing machine becomes more brutal during the time of peace negotiations, stressing that regardless of peacetime or wartime, Israel always finds ways to shed Palestinian blood. Khafsh added that during the months of peace negotiations between the PA and Israel from August 2013 to March 2014, the latter killed 50 Palestinians in different areas of the occupied territories. Despite that number of victims, the PA did not withdraw from the negotiations or make diplomatic moves to rally an international position against such Israeli crimes, the director of the center said. The US administration turned down Palestinian president Mahmoud Abbas's new political initiative for solving the Israeli-Palestinian conflict, but it asked for more time for internal consultations, informed sources told al-Quds newspaper on Thursday. A high-level delegation led by chief negotiator Saeb Erekat and PA general intelligence chief Majed Faraj are still in Washington to revive the peace process. The US administration described the initiative as a unilateral move and asked for more time to consider it. The Palestinian delegation met last Wednesday with US secretary of state John Kerry and other officials and tabled Abbas's peace plan, and will continue its meetings in Washington on Thursday before leaving for occupied Palestine to brief Abbas on the results of the visit. Hamas called on PA chairman Mahmoud Abbas to call off his participation in an Israeli conference to be held in Tel Aviv on Tuesday at a time when a spate of online campaigns calling for Abbas’s departure has been launched. Hamas spokesman Sami Abu Zuhri said in a statement on Monday that any potential involvement by Abbas in the scheduled seminar is a serious blow to the feelings of Palestinians, particularly in the wake of the unspeakable homicide of the Palestinian child Abu Khdeir. Abbas’s silence over Israeli crimes in Gaza, the West Bank and Occupied Jerusalem has generated a fuss among scores of Facebookers and users of other social networking websites, all calling on Abbas to step down. 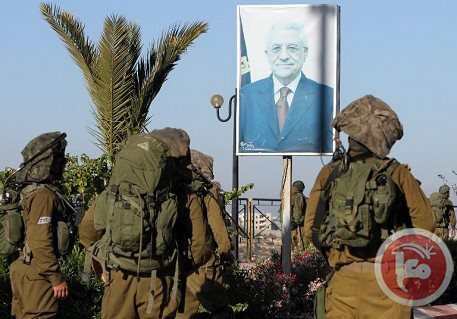 Several new online pages and campaigns have been launched under such slogans as “Abbas go home” and “Abbas does not represent me”. 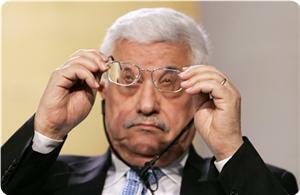 The initiative has been highly acclaimed by thousands of fans voicing their disapproval over Abbas’s reluctant positions. “Abbas must step down right now!” the Information Ministry undersecretary in Gaza, Ihab al-Ghasin, said as he slammed Abbas’s unresponsiveness to the Israeli crimes and his compliant coordination with the Israeli security apparatuses. While Abbas has strongly condemned the kidnap of three Israeli soldiers near al-Khalil and vowed to bring them back alive by all means and to punish the perpetrators, he has, however, showed no sympathy or concern with the burning of a Palestinian child alive and only issued a terse statement asking Israeli premier Benjamin Netanyahu to condemn the incident. “Your political agenda is a real disappointment that has not managed to heal the rift, but rather deepened it with each and every new day. Is Palestine an experimental lab? In a nutshell, you’d better walk out because you’ve not been up to your allotted mission,” Nunu declared in a message to Abbas. 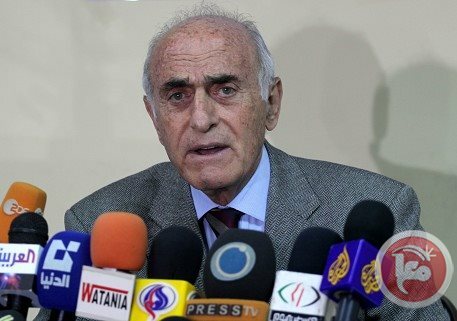 Palestinian businessman and economic developer Munib al-Masri said Saturday that he would not take part in an annual peace conference hosted by an Israeli newspaper. The Israel Peace Conference sponsored by Haaretz, an independent Israeli newspaper, offers the platform for leaders to discuss the Israeli-Palestinian conflict and how to achieve peace. “The Israel Conference on Peace is intended to restore the missing dialogue to public debate in Israel,” Haaretz says. “We want Israel to know that we will not accept any less than that”, al-Masri added. However, he highlighted Saturday that after the latest "crimes" that have been committed, especially the kidnapping and killing of “the child Muhammed Abu Khdeir,” he informed the moderators of the conference that he would not take part. Australian's foreign minister met Arab and Islamic ambassadors Thursday to try to soothe concerns over Canberra's stance on East Jerusalem, insisting there was no policy change despite moves to stop referring to it as "occupied". The meeting followed fury after Attorney-General George Brandis said the term would not be used as it carried pejorative implications and was neither appropriate nor useful. Eighteen diplomats from countries including Egypt, Saudi Arabia and Indonesia protested and warned of possible trade sanctions. Australia's export trade with the Middle East accounts for billions of dollars annually, particularly in wheat and meat. Foreign Minister Julie Bishop said there had been a "constructive" discussion and released a letter to the diplomats re-affirming there was no change in the government's position on the legal status of the Palestinian Territories. "Our position is consistent with relevant UN resolutions adopted over many years, including UN Security Council Resolutions 242 and 338," it read. "Senator Brandis' statement was about nomenclature, and was not a comment on the legal status of the Palestinian Territories." While avoiding the term "occupied" altogether, it added that Australia continued to be a strong supporter of a two-state solution "with Israel and a Palestinian state existing side by side in peace and security". The diplomats were furious with the comments on East Jerusalem, which was annexed by Israel in a move never recognized by the international community, and concerned that it was a "substantial policy shift". The international community views all Israeli construction on land seized in 1967, including the West Bank, as illegal and a major obstacle to a negotiated peace agreement. The head of the Palestinian delegation to Canberra Izzat Abdulhadi said he was satisfied with the way the meeting went. 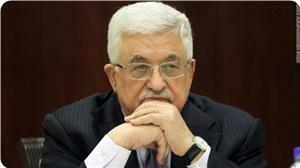 "The foreign minister was very clear about it today, that, yes, East Jerusalem is occupied. She repeated it several times," he told Sky News. Abdulhadi added that it appeared Brandis, who said Australia would no longer call East Jerusalem occupied but disputed, had overstepped the mark. "The other important development was that she said that from now on ... the policy of Australia is declared by either herself or the prime minister only." Israel gave approval Wednesday for the construction of 172 new homes for Jewish settlers in East Jerusalem, a city councilor said, nearly two weeks after it announced thousands. "The municipality approved this morning the construction of 172 apartments in Har Homa," Jerusalem city councilor Yosef Pepe Alalu told AFP. "This is the final stage before construction, and is the continuation of a policy that harms the peace process." Australia's foreign minister will meet ambassadors angered by the country's decision to stop referring to East Jerusalem as "occupied," Prime Minister Tony Abbott said Sunday as he stressed there was "no change in policy." Australia has been warned of possible Arab trade sanctions after last week's move, which Attorney-General George Brandis said was made because the term "occupied" carried pejorative implications and was neither appropriate nor useful. But the decision has sparked fury in the Arab world, and on Thursday 18 diplomats from countries including Egypt, Saudi Arabia and Indonesia protested to Australia's Department of Foreign Affairs in Canberra. Israel seized East Jerusalem during the 1967 Six-Day War and later annexed it, in a move never recognized by the international community. Palestinians, meanwhile, envision East Jerusalem as the capital of their future state. Abbott, speaking in Houston as part of an official trip to the United States, said Australia was "very happy to clarify the position and on trade". "My understanding is that there is going to be a meeting between some of the ambassadors and Foreign Minister (Julie) Bishop in a couple of days' time," the prime minister said. "We are very happy to clarify the position and on trade. People trade with us because we are a good trading partner... Nothing that has happened in the last couple of days could detract from that." The head of the Palestinian delegation to Canberra warned Friday that Australia could face trade sanctions by Arab nations over the new stance. Australia's export trade with the Middle East accounts for billions of dollars annually, particularly in wheat and meat, with Qatar and Jordan major markets for live sheep. Abbott said there was "absolutely no change" to Australia's policy on the Israeli-Palestinian conflict, and the shift on East Jerusalem was "simply a terminological clarification." "We strongly support a two-state solution," he said. "We are giving, I think, Aus$56 million ($53 million) in aid this year to Palestine. No change in policy." Israel has hailed the Australian move as "refreshing." The Palestinians claim Arab East Jerusalem as the capital of their promised state. The international community views Israeli construction on land seized in 1967, including East Jerusalem, as illegal and a major obstacle to a peace agreement. Bishop on Sunday blamed the opposition Labor Party for the uproar, telling Ten News it was a "complete and utter overreaction." 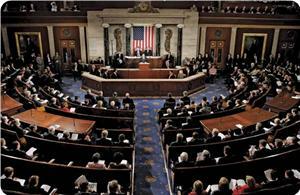 88 US senators out of 535 congress members have opposed US financial aid to the Palestinian unity government. These senators have sent a letter to president Obama slamming the continued US aid to the newly formed Palestinian unity government, Yedioth Ahronoth newspaper said Thursday. In their letter, the senator said the law is clear and warned US president that their chamber, the senate, would reconsider future aid. The senators called on US president Barack Obama to pressure Palestinian authority president Mahmoud Abbas to revoke his reconciliation agreement with Hamas and resume peace talks with Israelis. The collapse of Israeli-Palestinian peace talks has laid bare deep divisions in Prime Minister Benjamin Netanyahu's coalition that John Kerry's determined but ill-fated diplomacy had allowed to be papered over. 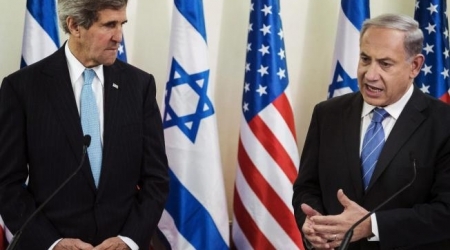 The resumption of peace talks last July enabled this assemblage to put its differences on hold - and forge a coalition that was convenient and, for the nine months of Kerry's labors, politically defensible. But the talks collapsed in April, as many observers had expected, and now the fissures are re-emerging with rival factions proposing wildly different ideas on how to proceed. Last week's formation of a Palestinian unity government, backed by both President Mahmoud Abbas' Fatah and the Hamas militant group, has only added to those divisions. In his toughest comments, Lapid vowed to bring down the coalition if Israel attempts to annex "even a single settlement" unilaterally. "Yesh Atid will not only leave the government - it will also topple it," he said. The Palestinians claim all of the West Bank, Gaza Strip and east Jerusalem - areas captured by Israel in 1967 - for a future state. The Israelis, rather than presenting a counter-claim, are deeply torn among themselves. Ironically, Netanyahu may have gained some time thanks to the formation of the new Palestinian government. The international community has rebuffed Netanyahu's calls to shun the new government - but he also seems to face little pressure to revive peace talks. Instead, the U.S. and European Union have decided to give the government a chance while they examine whether it remains committed to peace with Israel, as Abbas has promised.